National home price appreciation over the last six years looks quite normal relative to the previous 40 years. This appears to be one of the least volatile periods in the history of the Case Shiller Index. We think that is an indicator of a healthy market. ● In Seattle and San Francisco, strong home price appreciation has been supported by population and economic growth. These markets also have more unique supply constraints due to geographical characteristics, congested transportation infrastructure, and regulatory concerns. ● Phoenix and Las Vegas were devastated by the housing market crash and started this recovery period with relatively low prices. That has allowed them to enjoy the strong home price appreciation during this period. These markets have also seen high population growth, which has contributed to higher home prices. ● Denver and Dallas have also seen high population growth, which has resulted in demand for housing outpacing supply. ● New York, Boston, Chicago, and Washington DC have actually seen slower home price growth during this time. ● The Phoenix, Miami, Denver, and San Francisco markets have cooled slightly. ● Las Vegas and Portland have maintained their hot pace. ● Seattle home prices have increased nearly 9% since January 1st, 2017, leading the pack. ● The Charlotte market has accelerated in 2017 as much of the excess supply of homes has been used up. ● New York, Cleveland, DC, and Chicago continue to significantly lag the broader market. The national home price appreciation we’ve seen has made this a challenging time for prospective home buyers in many markets, including those who already own a home. With a greater portion of homes out of reach, more people are opting not to “trade-up.” This chokes the supply of lower priced, starter homes that appeal to first-time home buyers. That people who are renting and those who currently own a home are having a hard time buying in this market. First-time buyers face an especially challenging environment, with rising rents, rising home prices, and stagnant wages for many. While many Millennials are approaching prime home buying age, they often do not have the financial situation that would allow them to purchase a home. The lack of inventory makes it a difficult proposition even for those who can theoretically afford to buy a home. The aftermath of the Great Recession brought new regulation and a changing mood in the lending industry. Mortgage lenders scrapped the looser lending criteria that had prevailed in the run-up to the housing crash and tightened their lending criteria. This has significantly curtailed the number of prospective borrowers who can be approved for a loan. While this means we do not face a threat of a 2008-style housing crash due to lax lending standards, it’s not all good news. The bad news is many consumers who want to buy a home right now have been shut out of the market due to credit concerns. According to Fannie Mae and Freddie Mac, over 60% of their home loans over the last six years went to borrowers with FICO scores above 750, which shows that lending standards have clearly remained conservative across the nation. Unfortunately, this is keeping some worthy home buyers out of the market. We believe it is likely that lending standards will be relaxed in the near future, allowing some of these reasonably credit qualified people to enter the market. Many people expect mortgage rates to increase in 2018 as the Federal Reserve continues to tighten monetary policy and implements the plan to reduce its balance sheet. However, the increase in rates has been predicted for some time and it’s not clear when it will actually occur. Interestingly, mortgage rates have floated in a pretty tight range since 2011. There is concern that a presumed increase in rates will hurt the housing market, but we do not believe that is necessarily the case. It will take years for the Federal Reserve to fully implement its policy, and we don’t foresee any major impact to the housing industry resulting from the Fed policy change. 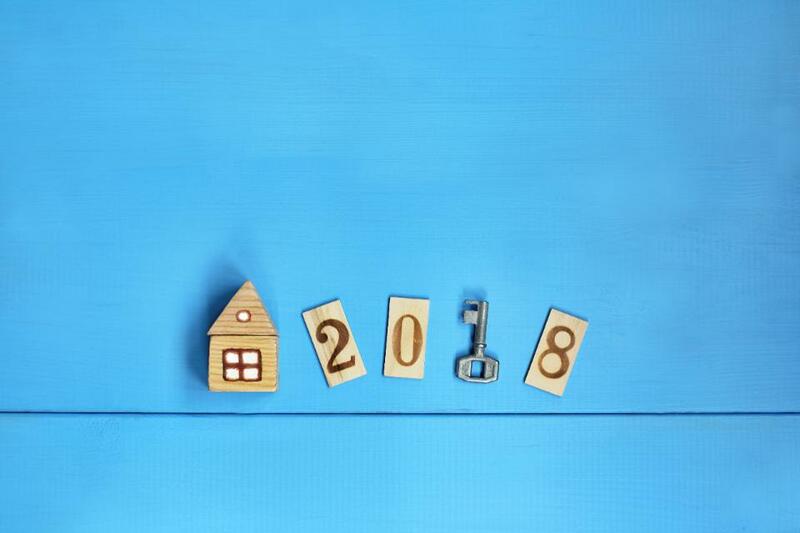 No one can predict the future, but we can make educated guesses about what will happen to the housing market in 2018. If you’re planning to buy a house in 2018, you should feel comfortable knowing that it is not a bad time to buy a home. However, ultimately the decision to buy a home must depend upon your individual circumstances, including whether you are financially prepared to buy a home and whether you plan to own it for at least a few years. We hope you’ll learn more by browsing our blog. The information presented in this article can give you a good head start to do your own research so you feel confident whenever you decide to buy your new home.